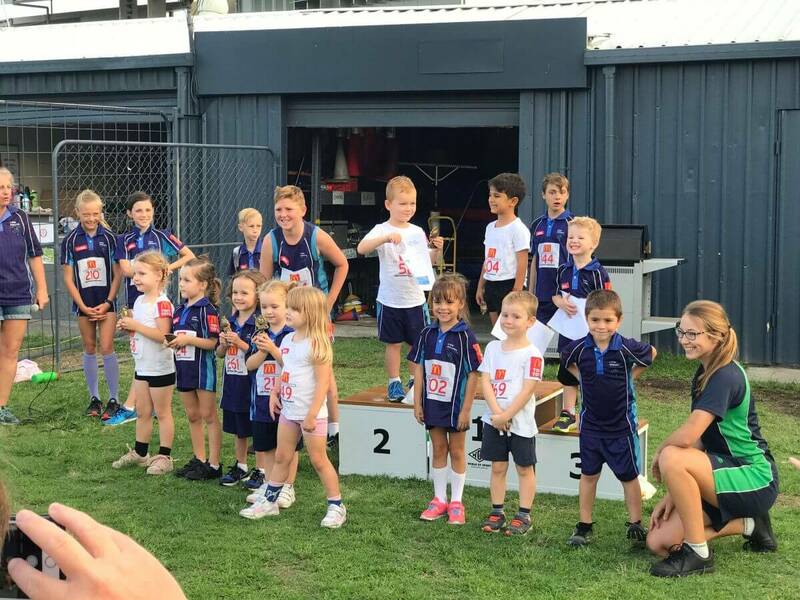 Helensvale Little Athletics offers the Tiny Tots Program for children between the ages of 3 and 4. Their section runs from 5pm Friday evenings for around half an hour. Tiny tots will receive a registered number and a special arm patch. 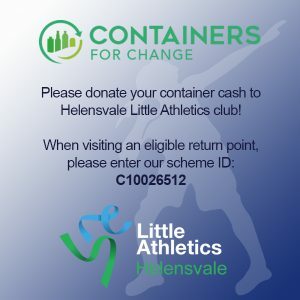 These youngsters have the option of wearing a Helensvale Little Athletics t-shirt OR a plain white t-shirt plus the Helensvale Little Athletics shorts or bummers. These little athletes will participate in games and activities designed to develop gross motor skills through “appropriate” activities for 3-5 year olds. There are no times, places or measurements recorded. There will be a reward for every tiny athlete at the end of the season. Check out our Facebook page for updates and more information!